Mission– Improve a tool or invention you currently use to make people’s lives easier then produce a short television commercial selling your product to your intended audience. 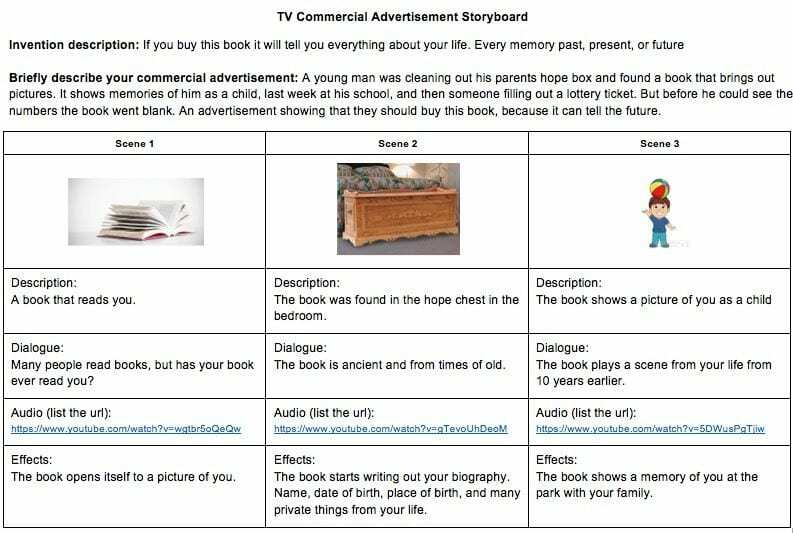 Students evaluate commercials and write down the elements and language they observe as well as techniques they notice for persuading an audience to buy the product. Invention- Who is the audience that would find this invention useful? How does the invention improve lives? How user-friendly is the invention? How useful/innovative is the invention? How does it make life easier? Marketing-Does the commercial clearly and concisely describe the invention? How? How does the commercial try to persuade the audience to purchase the invention? Is a story tied to marketing the product? Does the language and other elements appeal to the intended audience? Production- Do the visuals, dialogue, music, effects, and production appeal to the intended audience and help sell the invention or are they unrelated or unclear in anyway? Is the font readable? Students complete this storyboard template describing the invention and planning their commercials. Feel free to copy the template and edit as you like! Students are provided with a list of free video recording and editing tools ( Biteable, Genial.ly, Powtoon, Kapwing, Wideo, WeVideo, Touch Cast, My Simple Show, iMovie, and Windows Movie Maker), but they are free to use any video recorder and editor. Find more tips and resources for student video projects here. Find out more about mission minded learning in my book, Hacking Digital Learning with EdTech Missions. 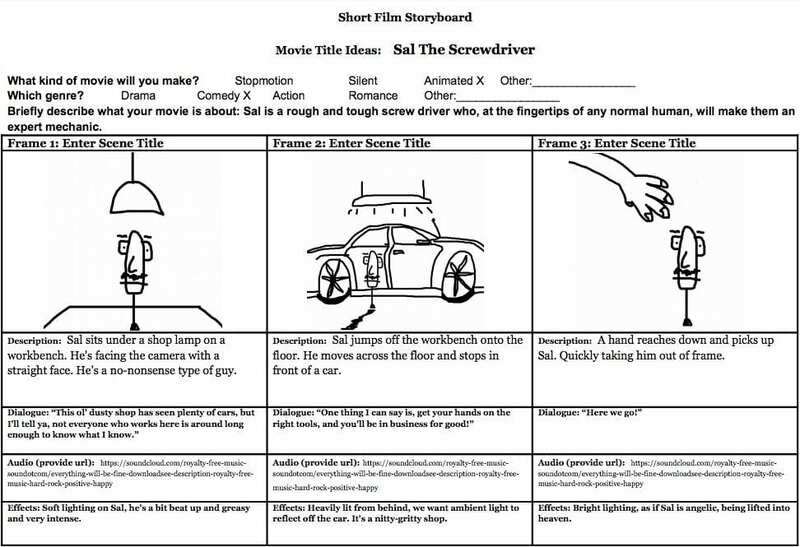 Students are allowed to draw or use copyright-friendly images in their storyboards. Find a list of public domain and creative common image websites here. Below are examples of my students’ commercials using different web tools. The Smartie Pen -Video commericial project from Esther Seo on Vimeo. 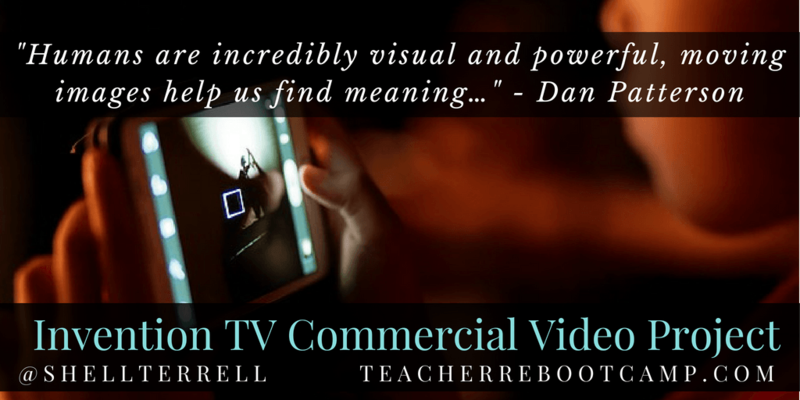 Challenge: Get students to storyboard and produce a video commercial.